Hello ! 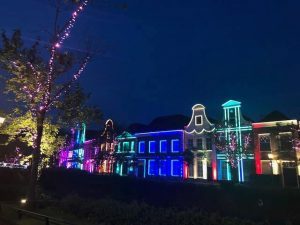 I went to Huis Ten Bosch which is theme park featuring Netherland as its motif. 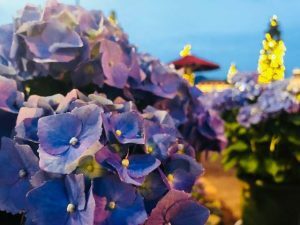 Hydrangea are blooming in anywhere in Huis Ten Bosch at this season. Take the bus or subway to Hakata Station. 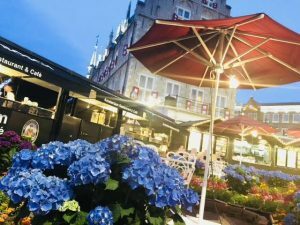 From there, take express Huis Ten Bosch train. It takes about 2 hours. Its quite easy to go ! 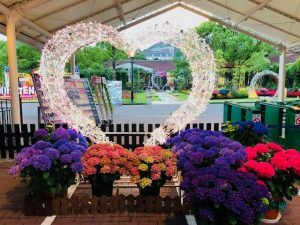 you can enjoy beautiful hydrangea and awesome illumination as well by day trip! !